Home/News/Storm Damage to Your TV Aerial & Satellite: What Now? When so much damage is possible, you can’t help but wonder how much of a beating your TV aerial & satellite system can take. What should you do if your system sustains damage during bad weather? How can you go about having it repaired? Read on to find out. 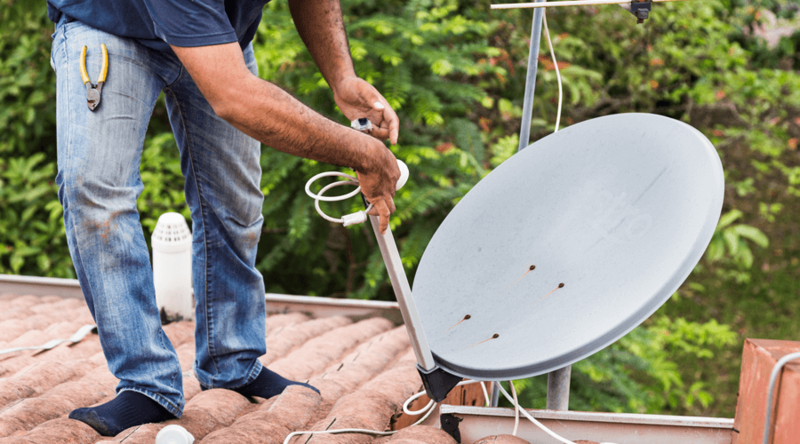 One of the very first steps you should take to diagnose the damage is checking all televisions that are connected to your TV aerial & satellite system. Is only one of your televisions having problems? Or are more than one experiencing trouble? If it’s only one, then likely the issue lies in that one television. If it’s more than one, then the problem is probably in your aerial or satellite set-up. Lightning is a very damaging part of bad weather. Each lightning strike contains millions of volts of electricity, so if a bolt hits your equipment, it’s guaranteed to fry. If you’re having issues with your set-up, find out if lightning did indeed strike near your house. You may need to ask neighbours or phone your local news and weather station. If this is the case it is likely you can claim on your home insurance for damages. Post-storm issues with your system may not have anything to do with your system at all. Bad weather can scramble aerial & satellite signals, resulting in poor or no reception on your end. Snow can also settle on your dish to block the signals resulting in ‘no signal’. 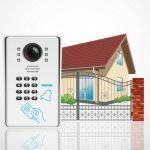 The best way to discover if the issue is really in your set-up or in the signal itself is to phone your satellite company or look online to issues with your aerial transmitter. Unfortunately, there is no way to 100% storm-proof your system. Bad storms are too big and too powerful. However, there are a few steps you can take to help prevent or reduce damage to your system. Lightning usually strikes the highest conductor in the area. Consider where you’ve placed your aerial antenna. Is it on top of the highest point of your home? If it is, then you can look into relocating it if it is possible. Lightning will be less likely to strike it when it’s below your home’s highest point. Lightning conductors are long, metal rods that are attached to the top of buildings. They are used to entice lightning to strike them instead of aerial and satellite equipment and other outdoor installations. Lightning conductors include a cable that runs down into the ground. Once lightning hits the conductor, the electricity follows the cable and fizzles out when it hits the dirt. You will find these on most commercial installations rather than domestic installations. Not all parts of your set-up are located outside. Your television, freeview/satellite box, and other parts of your home cinema system are safe and sound inside your home. Lightning strikes can cause electrical surges, which fry plugged-in electrical equipment. To surge-proof your electrical equipment, use power cords that have surge protectors. You may also consider simply unplugging your electronics during a storm. Rain damage is also likely, water can find its way into your cables and damage equipment that its connected to. You should check all cables regularly. For questions about or quotes for aerial or satellite installation and other services, please don’t hesitate to contact us!